Planning a themed party and don’t know #wheretostart? Good news! We’ve teamed up with events expert Daughter Of Design By Beng Picart Villanueva in making your dream party come true! Daughter of Design has been in the floral and event industry for 20 years now. Though Manila based, they’ve done events all over the Philippines and several international ones as well. Here you have Cameraderie experts and Events experts working together just for you. 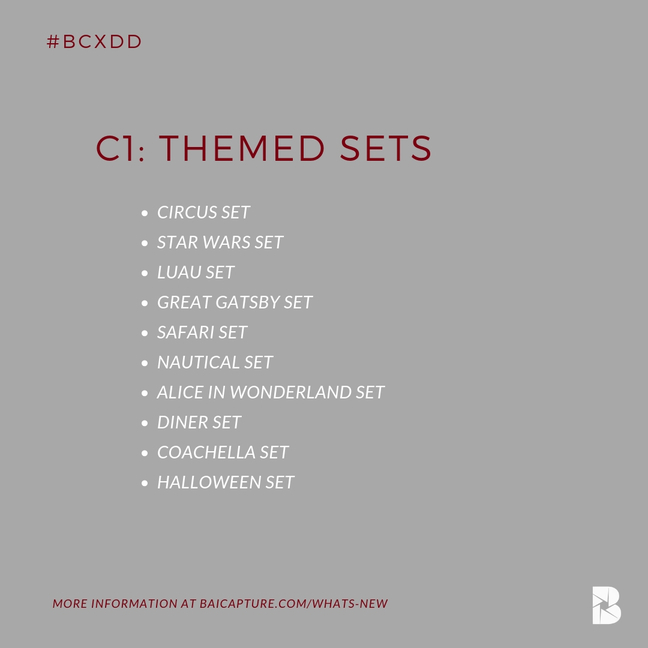 We’ve come up with 10 Themed Party Sets. 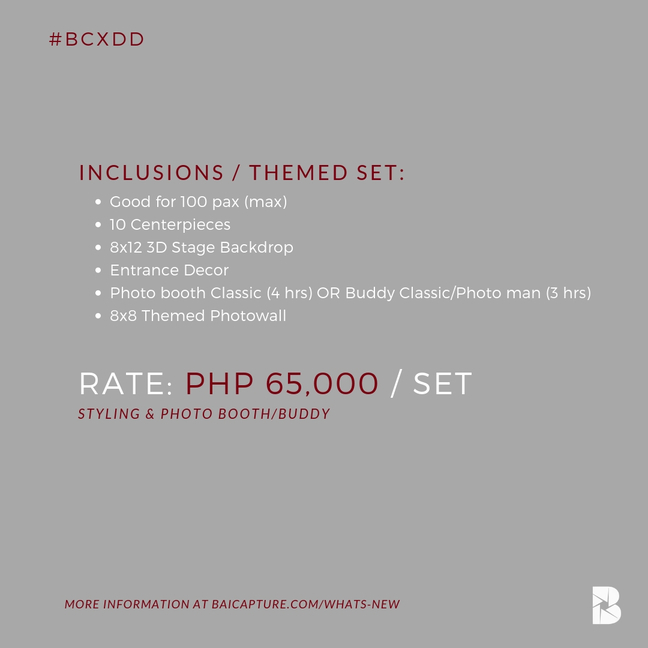 All sets come with a Classic Photo Booth (4 hrs) / Classic Baicapture Buddy (3hrs) service. The styling is good for 100 pax (8-10 tables), and it includes a meetup with the Daughter of Design CEO, Ms. Beng Villanueva. 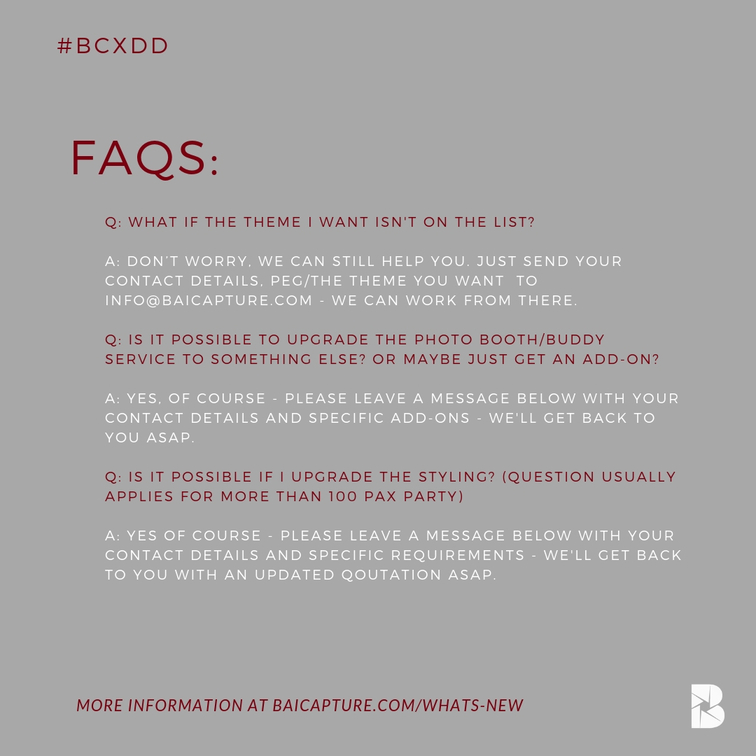 BOOK US NOW by leaving a message through our contact box below with the following details: SUBJECT: “#WHERETOSTART: *chosen themed set* ”, name & contact info, event date & venue. Confirmation is upon availability of both teams.